The new, luxurious twenty-one story 21 Rio apartment community stands as an elegant, glass obelisk in the shadow of UT Austin's west campus. Constructed of glittering steel and glass, many of the 158 apartment dwellings have floor-to-ceiling transparent exterior walls that offer stunning city views. All of the units have a unique design with over-sized floor plans ranging to 1,950 square feet. There is retail space and garage parking on the lower levels. Spherexx.com was chosen by builder Maxum Development to develop the website and online marketing strategy for 21 Rio. The website at http://www.21Rio.com emphasizes features that appeal to UT students, and its companion website, http://www.21RioAustin.com, focuses on the benefits for downtown professionals. 21Rio.com is custom-designed to be Apple iPhone compatible. Website visitors can take a virtual tour, survey actual rooftop views, print a brochure, study up on the neighborhood, survey a location map, read the construction blog, select a floor plan, schedule a physical tour, and apply for an apartment online. They can also join 21Rio's very active social networking websites--like Facebook.com and Twitter.com, etc.--and accept an invitation to a planned social event and private tour. "With 11,090 apartment units under construction and 14,752 units currently planned in the city of Austin, we have carefully refined 21Rio's online marketing plan to excel in the current competitive landscape. 52.3% of all 21 Rio traffic has been from the website. We have achieved a very high organic search ranking for http://www.21Rio.com through strategic search engine positioning. It consistently ranks organically on the first page in Google.com search, which helps Austinites find this community. We also manage 21 Rio's twenty-three directory and reference listings to expand their reach and assure maximum inbound links. Our CRM and prospect management SaaS called http://www.GotNoVacancy.com has played a major role in marketing and closing leases at 21 Rio. This lead management application will not allow a lead to stray. It intuitively builds a contact database and continually updates adverting source response so we can constantly adjust advertising expenses to what is working, We also developed an application that imports Facebook and Craigslist leads directly into 21 Rio's GotNoVacancy.com database," states Becca Wilson, President and CEO of Spherexx.com. Spherexx.com has managed pay per click advertisement, established 21 Rio's social media marketing, direct email campaigns, and print media and design for 21 Rio. They created a construction lease-up calendar especially for 21 Rio that tracks advertising schedules and task management for both the Spherexx.com marketing team, the construction team, the owners, and the property management team for the purpose of streamlining communication and leasing deadlines. Collectively, all marketing efforts support the website, which is open 24 hours a day to deliver qualified prospects directly to 21 Rio's leasing team. Established in 2000 by multi-housing veteran Becca Wilson, President and CEO, Spherexx.com has offices located in Dallas, Tulsa and Houston. The company has been awarded by Goldline Research as being one of the Leading Web Designers of the south and central regions for three consecutive years and recognized in Forbes and Entrepreneur magazines. 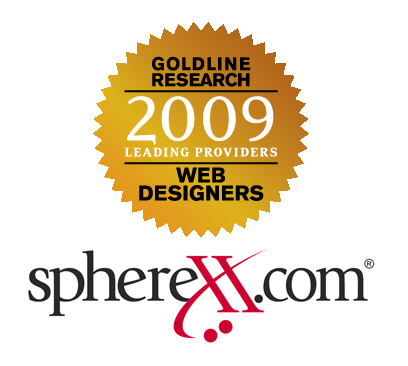 Spherexx.com offers a wide selection of professional services including web design and development, touch-screen kiosks, 3D animation, advanced mobile technology and search engine optimization. It produces logo design, branding, video/multimedia production, print media, and copywriting as well as website and email hosting, remote backup storage, database solutions, pay per click, e-commerce solutions and custom programming. The company has developed several CRM (customer relationship management) products that allow clients to better manage and convert leads to leases and sales, which are branded under http://www.GotNoVacancy.com ™, http://www.HomeClosingTools.com ™ and http://www.MyClosingTools.com ™. Spherexx.com provides web-based prospecting, marketing, information management, and support services. Spherexx.com has provided services to innovative real estate companies like Trammell Crow, Lincoln Property Company, Riverstone Residential, Essex Property Trust, Greystar,, ZOM Residential Services and Tarragon LLC, as well as real estate related entities like http://www.BullseyeStorage.com, http://www.ChasewoodPark.com and http://www.Reverseit.com.